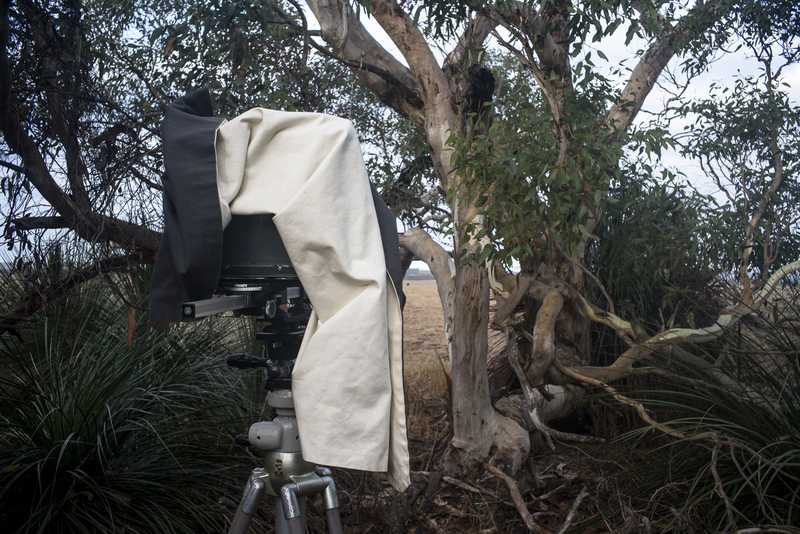 With autumn arriving in South Australia I have started to pick up my large format black and white view camera photography, especially the 8x10 Cambo monorail. The conditions are right: overcast skies, little wind and softer light. Well, these conditions lasted for a few days before a cold, gusty south westerly wind swept across the southern coast of the Fleurieu Peninsula. This kind of large format view camera photography has been in the background as I do not have a darkroom at the studio; nor do I have access to one in Adelaide now that the Analogue Lab has closed. My last session of processing sheet film was done in Melbourne in 2018, using Stuart Murdoch's darkroom! One afternoon in mid-July I was late going on a poodlewalk with Maleko. As a result, I ended up making my way back to the car at the Petrel Cove carpark after dusk had fallen. It was another of those low light situations in photography, and so I decided to test the low light capabilities of my newly acquired Sony a7R111 as the seascape at dusk looked quite luminous. This is a hand held photo made whilst I was walking along Depledge Beach towards Petrel Cove. It was after 5.30 pm in mid-winter, the sun had disappeared behind the hills, and the light was subdued. No noise reduction has been used on this image when I was lightly post processing the digital file in Lightroom on the iMac. There is no need, as there was no noise. 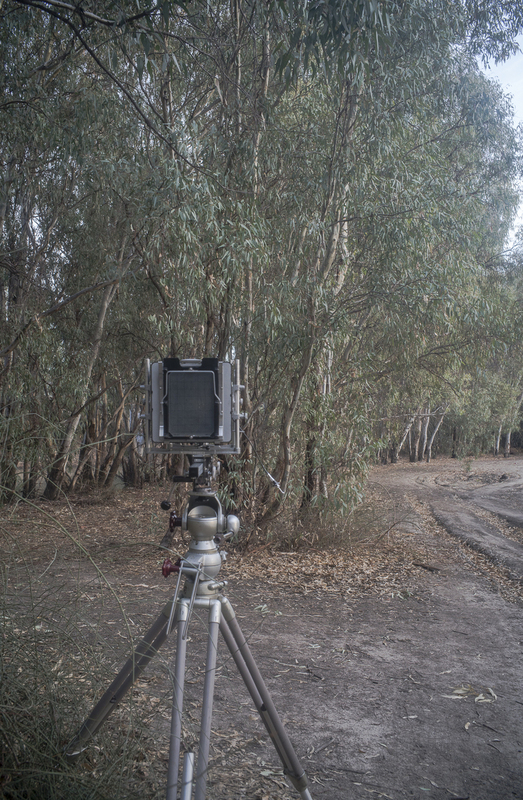 When I was on a photo camp at Lake Boga, near Swan Hill in Victoria, I was able to do a bit of 5x7 large format photography. I haven't used this Cambo monorail for some time, primarily because of the difficulties I'd experienced scanning the negatives on my Epson V700 flatbed scanner. I found it easier to use the 5x4. 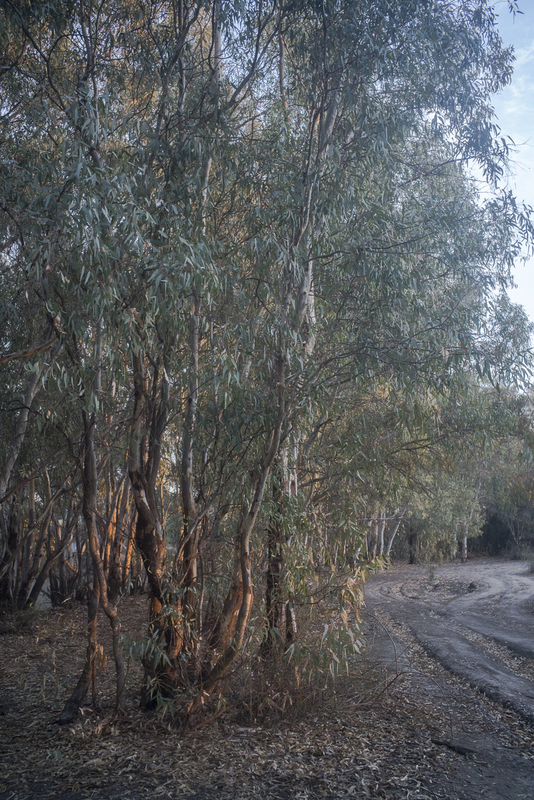 This was an early morning photo session on Pental Island along the banks of the Little Murray River. I'd scoped the location on a previous visit. It was a return to the Edgelands project, which has been on the back burner for a couple of years. I haven't known what to do with the body of work in this project after the initial exhibition at Manning Clark House in Canberra in 2014, apart from continuing to make the odd large format photo. I kept thinking about to continue with this project. One possibility that came to mind was to expand the project into a photobook I thought whilst I was on location at Pental Island One possibility would be to produce a second edition of the initial exhibition catalogue, which was a picturebook with a mixture of word and image, by making it more open ended. The idea behind the second edition would be to make a photobook in which there is a tension between word and image, the pictures rather than the text are the dominant element, and to emphasise the meanings being achieved through the reader continuously moving back and forth between the text and image. What I would try to avoid is having a single narrative or story so as to make it a more open to a variety of interpretations. I have settled in using the Sony A7r111 after working with it extensively on the recent New Zealand trip. I use the camera manually, as if it were an old fashioned Leica rangefinder from the film era. This is crazy, I know, but I have set camera up so that nothing is automatic. I am however, getting to the point of adjusting the basic menu that was set up for me by the camera store when I bought the camera. I do need a bit more flexibility in adjusting exposures up or down in specific situations. What is really working for me, and what has impressed me, is the Sony's low light capability. 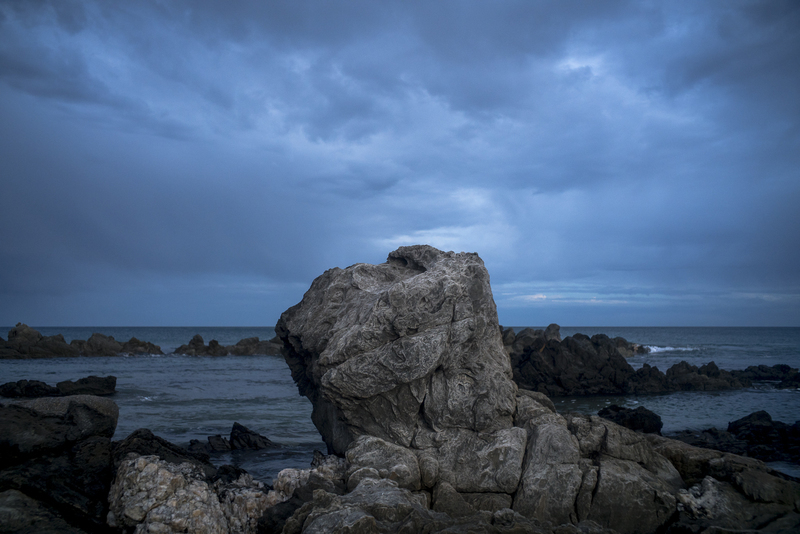 This allows me, as in the above image, to photograph hand held in low light, whilst on the morning or afternoon poodlewalks along the southern Fleurieu Peninsula coastline. 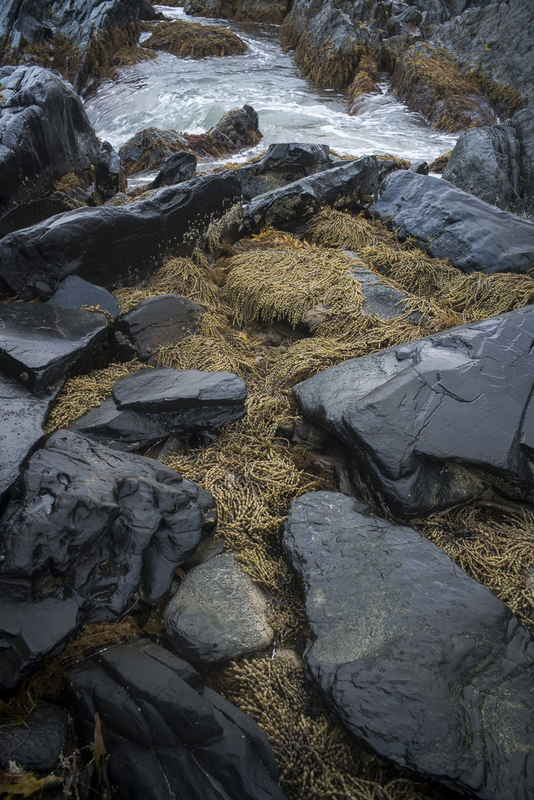 I was scoping for a possible film shoot, given that there is low tide early in the morning at the moment.